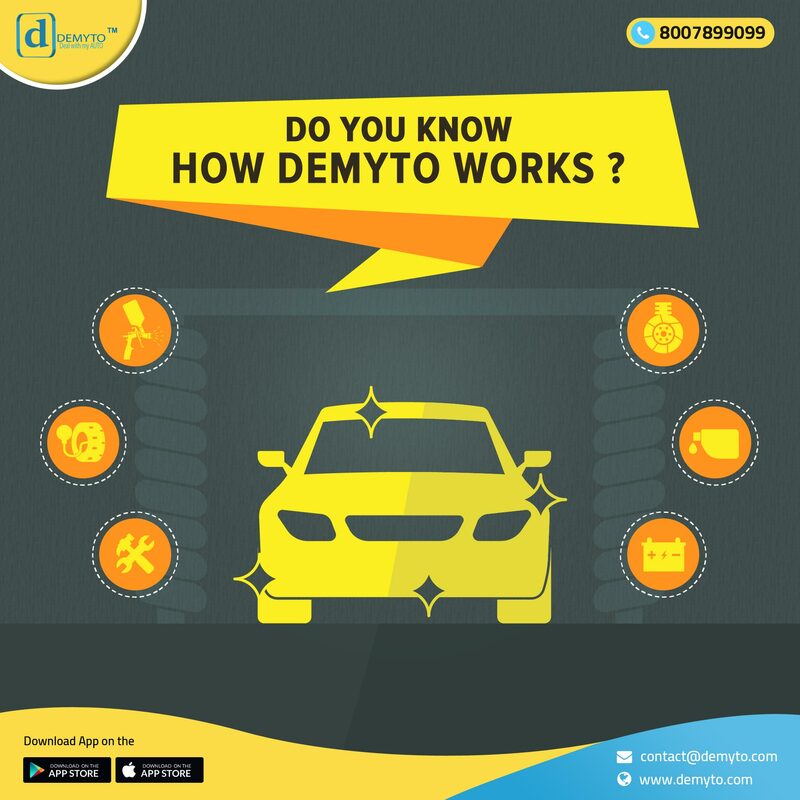 Best Car Repair Garajes in Pune How does DEMYTO work? Demyto is running on wheels since July’16 and has entered with endless services for their customers accompanied by its team. As the days and months passed by Demyto stands out for its precise, clear and transparent activity. Demyto.com is a marketplace which provides Best Price Servicing Packages, Unbeatable Quotations for Repair, Insurance. We are associated with more than 110 multi-brand service stations and have 95% recurring customers. We offer Fix Price Servicing packages anywhere in Pune city with on-boarded Demyto.com Service stations. We provide 1 Month warranty for servicing repairs. And as far as Insurance is concern, we guide the customer in a proper manner to choose perfect insurance with Unbeatable Premium rates. We also provide with car service advisor, to guide you in the best way possible. Demyto stands on these three pillars ‘ Quality, Conveyance, and Cost’. Keeping its wheels on the road towards success, Demyto, in particular, has made a difference with the services. From Nurturing to Expanding with its team work and assured services, DEMYTO has increased its pace for the comfort of the customers.